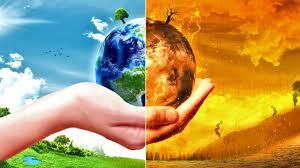 Our world is heating up: A warmer world doesn’t only mean warmer temperatures. Climate change is already having an impact on our health. By exposing people to dangerous heat waves and more extreme weather, according to www.theverge.com . It means changes in rain, rising sea levels, and more extreme weather like strong, destructive hurricanes. Although we often think of climate change as a far-off problem, it is already affecting our health. Especially the health of vulnerable populations in developing countries. And if countries and cities worldwide don’t address global warming urgently, things are only going to get worse. We can all help address these issues by reducing carbon emissions, switching to renewable and electric cars, for instance, things are only going to get worse. To better prepare for the health impacts of climate change, countries and cities should do risk assessments and have a plan of action. For example, making sure that hospitals and nursing homes are equipped to withstand extreme weather, flooding, and loss of power should be a priority. But health-adaptation funding accounts for only about 5 percent of total global-adaptation spending, the report says. Countries should also switch to more renewable forms of energy, as well as boost electric vehicles. The stakes are incredibly high.